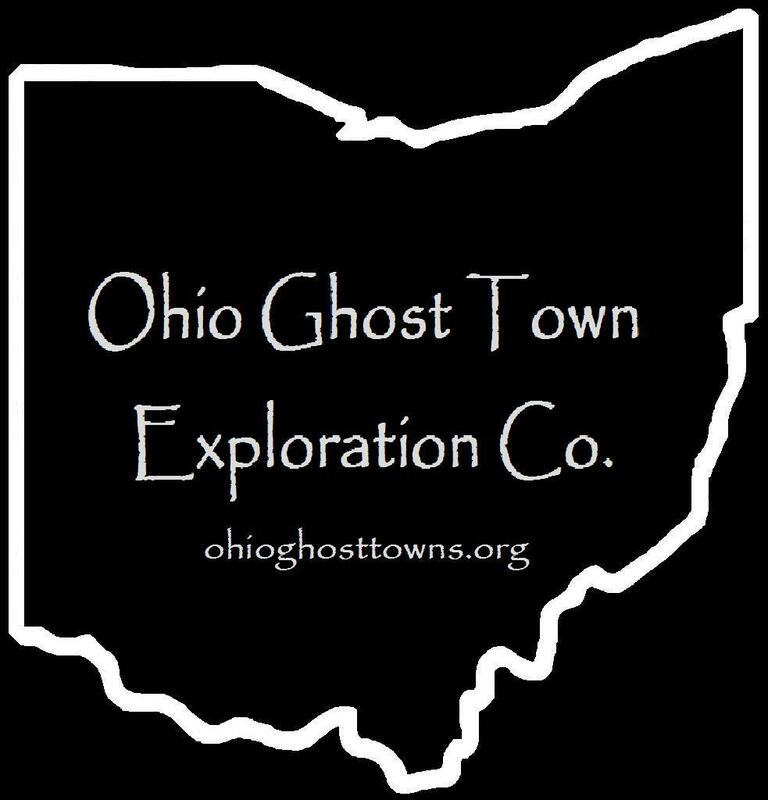 Athens County – Ohio Ghost Town Exploration Co. Description: This first settlement in the township had the nickname “Southtown” as it was the next populated area south of Athens. Unfortunately the early township records were lost in a fire around 1827. Description: Big Hocking is listed as a ghost town in several places online but it’s only due to a name change. Hockingport was called Big Hocking from 1836 – 1839. Description: The town had a one-room schoolhouse & a cooper shop on the south side of Ponetown Rd just west of the GPS coordinates owned by Bernard Hampshire (1829 – 1877) & Angeline (Humphrey) Hampshire Graves (1845 – 1920). She remarried after Bernard passed away. They were buried with relatives in Fairview Cemetery about 1 & 1/2 miles south of the GPS coordinates in Fairview Cemetery on the west side of Fairview Rd. The town’s postmaster was Samuel Smiley Duffy (Duffee) (1863 – 1940) from Hocking County. He later moved to Franklin County & was buried with relatives in Greenlawn Cemetery on Greenlawn Ave in Columbus. Description: This coal mining town had a school, company store & a train station for the Lick Run Coal Works on the Lick Run Switch of the Columbus & Hocking Valley Railroad. Old road paths from the town can be seen on satellite maps. Description: The town was named after the Dean family in the area. Description: Detroit was sort of a suburb of Canaanville & had a train station on the Marietta & Cincinnati Railroad built in 1875. Description: The town was founded by George Courtauld (1767 – 1823) who was a wealthy silk & textile manufacturer from England. The land was purchased in 1818 & George persuaded some of his friends to move there. He operated a store & post office until his untimely death. Most of the residents moved back to England & the post office moved to Nelsonville. Description: The town started out with farming & mills then boomed when coal was discovered in the area. It had two iron furnaces, a train station on the Columbus, Hocking Valley, & Toledo Railroad, & several mines owned by Burton B. Sheffield who founded the Floodwood Coal Co. It was hit hard by the Great Flood Of 1913. New Floodwood across the Hocking River where the employees lived is still a populated town. Description: Many of the residents worked in the mining industry & were buried in Bethel Ridge Cemetery. Description: The town was founded in 1836 by business tycoon Samuel B. Pruden (1798 – 1863) who built an oil mill, grist & saw mill, & a salt works. Description: Town proprietor Peter Hixon (1821 – 1902) moved to Ames Township from Pennsylvania at an early age. He was one of the biggest land owners in Athens County with over 800 acres & had much success in raising large numbers of livestock on the fine grazing land. The family surname was sometimes spelled Hixson. Peter was buried with relatives in Hooper Ridge Cemetery on Hooper Ridge Rd. Description: Hocking lost its status as a town but looks like it was never completely abandoned. It had a train station on the Marietta & Cincinnati Railroad. Description: It was named after the Horton family in the area. Description: Founded by brothers William & J.M. Ingham, it was a coal mining town on the Marietta & Cincinnati Railroad. The mail went through Kings Station, another reason it’s also listed in Athens. Description: Kings Station was founded by Silas D. King (1840 – 1909) as a coal mining town with a train station on the Marietta & Cincinnati Railroad. The intact wood railroad tunnel was built in 1855 – 1856 & is a rare sight to see in Ohio. Silas was buried in Elk Cemetery on N Market St (Rt 93) in McArthur. Description: Laurel Hill was a coal works town on the east side of Brettland with its own mining industry. It had a company store & a train station on the Columbus & Hocking Valley Railroad. Old road paths can be seen on satellite maps. Description: Lyda was a tiny town. Residences & businesses stretched north up Township Highway 420 & Lyndon Rd. It’s listed as Lyda in the 1901 Cram Atlas & a few other places online, but might have really been spelled Lydia like the road name. Description: The town proprietor was an E. Marshall who owned a section of land southeast of the GPS coordinates. Many of the residents were buried in Walnut Grove (Maxwell) Cemetery & Beech Grove (Conn Church) Cemetery on Township Highway 435 in Monroe Township, Perry County. Both of the cemeteries are listed on findagrave.com with more location info. Description: It was founded by Colonel Silas Dean (1767- 1810), settled by members of the Ohio Land Company, & served as a stagecoach stop. Silas’s nephew Colonel Nathan Dean Jr. (1788 – 1837) acquired some of the land after Silas died. Nathan was a brickmaker, freemason, businessman, & ran the general store & post office. Mudsock was abandoned shortly before Amesville sprang up. Description: Mount Auburn was founded by Reverend Jonathan Perkins Weethee (1812 – 1899). He wrote a book in 1849 & built Weethee College in 1861, just a couple of his many accomplishments. Jonathan was buried in Nye Cemetery on SR 13 in Chauncey. Description: New Bern was a farming town. Residents were buried in Sand Rock Cemetery. Description: Salina was a decent sized town that had a little bit of everything. Some residents were employed the salt works of M.M. Greene & Co. There was also a surface coal mine, shaft coal mine, grist mill, & a saw mill. Description: Sparta was listed as a small village in the 1837 Ohio Gazetteer And Traveler’s Guide. Carbondale was formed in 1867 as the McClintock & Smith Coal Works were built along with a train station on the Marietta & Cincinnati Railroad. It was named after the abundance of coal in the area. Carbondale once had a bunch of businesses around town including a hotel, two general stores, a high school, gas station, oil wells, & a phone company. It also had a community baseball team that competed against teams from other towns in Ohio. Carbondale had a peak population of 1800 during WWI but is now down to around 100. Most of the old buildings are gone now, but some still remain abandoned & others are down to foundations among tree lined streets & mining roads. There are also several mine shaft entrances around the outskirts of town. In 1991 Peter Jennings did a week long series for ABC’s World News Tonight from a front porch in Carbondale. The report was about poverty in America & the lack of economic opportunities in certain regions, a problem which created many of the ghost towns that we have researched. Thanks to group member Brett Taylor, manager of Ohio Hiking Trails And Historical Sites, for providing the listing lead & info on Carbondale! Floodwood Station started out as a farming & mill community in the early 1800s. One of the earliest settlers, the Mourn family, built a saw mill & a general store in the 1820s. The population boomed when coal was discovered in the area in the mid 1800s. It had about 50 houses, & when 2 large iron furnaces were built in the area, New Floodwood sprang up on the east side of the Hocking River. It had over 600 houses in 1883. Burton B. Sheffield, who moved to Floodwood in 1836 from Rhode Island with his parents, ran the Floodwood Coal Co. & had several mines on 700 acres of land next to the banks of Floodwood Creek. New Floodwood is still in existence today on US 33, but it’s not nearly as large as it once was. Floodwood Station was totally abandoned in the early 1900s. Part of its broken dam can be seen when the river is low. Some loose bricks & house & building foundations can also be found along the Hockhocking Adena Bikeway from Floodwood Station & other nearby old towns like Glen Ebon & Salina. Thanks to group member Brett Taylor, manager of Ohio Hiking Trails & Historical Sites, for providing the listing lead, pic, & much of the info on Floodwood! Ingham was the town between Moonville & Kings Station on the same railroad line. It’s about a mile hike when taking the railroad path to the southwest at the Y intersection. The town was built on land owned by W. J. & J. M. Ingham. It had a school, general store, train station, coal tipple, & several residences scattered about the area along with a few buildings & structures for the mining industry. There are some foundations, mine shaft entrances, & other remnants along the hiking trails off of the railroad path. Ingham can be accessed from Moonville too, but the hike is much longer. Waymarking.com has a nice listing for Ingham with GPS coordinates for many of the buildings & mine shaft entrances. Kings Station is northeast of Moonville & Ingham on the same railroad line & also had the same fate in becoming a ghost town when coal mining production stopped. Taking the railroad path at the Y intersection of King Hollow Trail & Rock Camp Rd, Kings Station & its impressive wooden railroad tunnel, built in 1855 is approximately 1/8 mile to the northeast. The town was founded by Silas D. King (1840 – 1909) who owned the land & donated some for a train station on the Marietta & Cincinnati Railroad, which was later bought out by the B & O. Silas is buried in Elk Cemetery on N Market St (SR 93) in McArthur. Kings Station had a general store, row of wooden houses, a school, coal tipple, & a post office from 1857 – 1892. There are a few buildings not far from the tunnel & near the old railroad path that have recently been brought to light by someone that lives in the area. Pictures of 3 wood buildings (at least one probably a house) were shown to Brett Taylor of Ohio Hiking Trails and Historical Sites, who confirmed their location as being in Kings Station. Thanks to group member Tammy Altman for providing the info on Silas D. King! It was settled by Jonathon & Abigail Koons in the early 1850s. Jonathon was an atheist & skeptic who supposedly turned into a spiritualist after attending a few local seances. He began claiming to have psychic abilities, as well as Abigail & their oldest son Naham. They built a one room log cabin behind their house that they called the spirit room & held their own seances. It was later considered to be one of the most paranormal sites in the world & attracted visitors from all around the world. The Koons family abruptly left in 1858 without an explanation, possibly due to ridicule from local residents who didn’t believe the family had any special powers so to speak. There are no known remnants of the Koons residence & the land currently appears to be on private property. Orbiston grew quickly in its early days after Ogden Furnace was constructed in 1877 by the Ogden Iron Company. Most of the local residents mined coal & iron for furnace production & some had jobs on the Hocking Valley Railway that ran through town. The furnace was sold a few times over the years & was eventually owned by the Hocking Iron Co. who changed the name from Ogden to Helen Furnace. Orbiston had a population of about 500 in 1883, a post office that ran from 1877 – 1924, & a school that existed until sometime around 1930. It’s unknown if there’s anything left of the furnace, but we suspect that at least the foundation is probably still visible, along with some foundations from other buildings, & maybe a few mine shaft entrances. Some of the residents were buried in Bethel Ridge Cemetery (Athens County). From Orbiston, just north of where the town was, make a right turn onto Goose Run Rd & take the first right onto a small gravel road. Thanks to group member Brett Taylor, manager of Ohio Hiking Trails & Historical Sites, & his sister Debby Taylor for providing the listing lead, pic, & some of the info on Orbiston! The town was named after Josiah True (1776 – 1855) & Almira (Tuttle) True (1788 – 1853), the first settlers in the area. Josiah was a fur trader, orchard planter, a veteran of the War of 1812, & the first justice of the peace in Dover Township from 1815 – 1851. The Trues were highly respected members of the community. There are still residents in Truetown, but the closest post office is in Millfield. Josiah & Almira were buried in True Cemetery. Kidwell Covered Bridge & the cemetery are the only old remnants left from the town. The bridge was built in 1880 on Monserat Rd spanning Sunday Creek. It has been restored & is open to traffic.